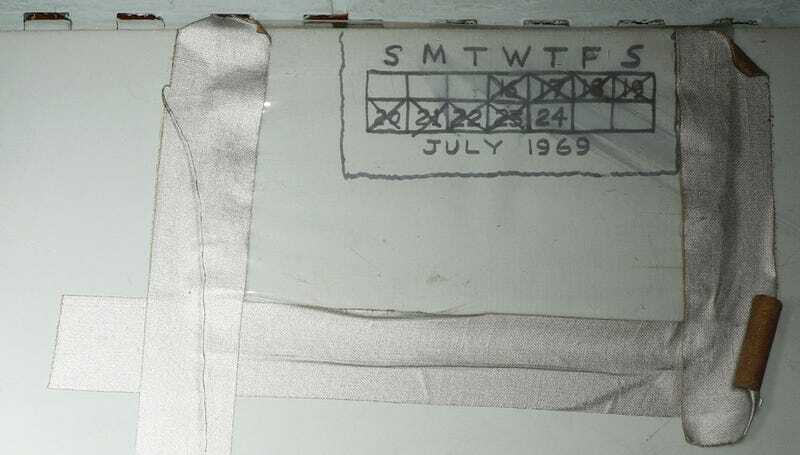 While building a 3D model of the Apollo 11 Command Module Columbia, archivists at the Smithsonian uncovered hand-written notes and markings in areas of the spacecraft not seen in more than 40 years. The remarkable etchings offer a new glimpse into what life was life on the way to the Moon. Recently, every single nook and cranny of Columbia was scoured as curators, collectors, and conservationists from the Smithsonian National Air and Space Museum and Digitization Program Office built a detailed, high-resolution 3D model of the spacecraft. This project allowed them to view areas inside the capsule that hadn’t been seen for decades, and they found some pretty interesting things. The archivists observed and recorded hand-written notes, math figures, and a calendar. These items reveal the degree of improvisation that took place during the historic first mission to the Moon. Credit: Smithsonian National Air and Space Museum. 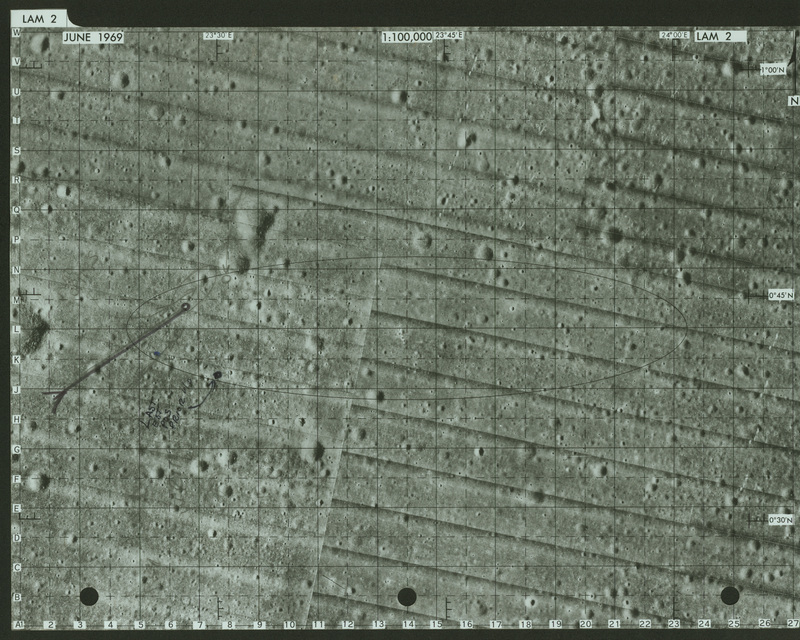 These notes (above), written by Michael Collins, shows how he tried to pinpoint the exact location of the Lunar Module (LM) Eagle on the lunar surface as he orbited the Moon alone in Columbia. At the time, Collins was using coordinates sent to him from Houston, and he referenced them to this map. He wasn’t successful in this task, but given this new information, historians may actually be able to figure out how and why NASA and Collins went wrong. And in fact, this effort is currently underway. 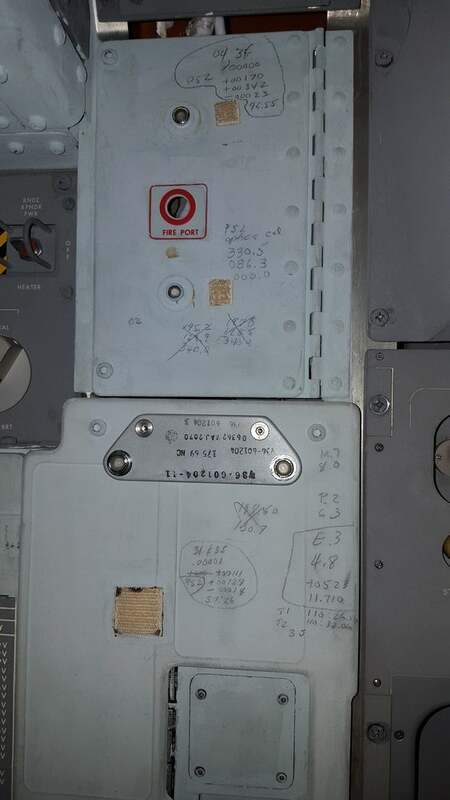 Storage spaces were made available to the astronauts, along with a detailed stowage list of where everything was supposed to go. During the mission, however, it appears the astronauts started improvising a bit on where certain things should go. 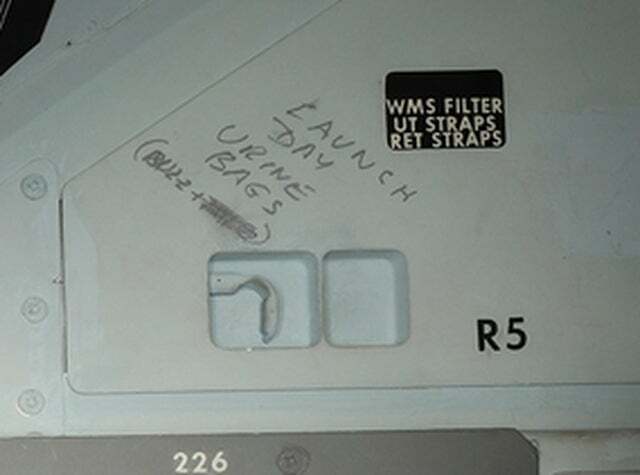 Locker R5 was supposed to store auxiliary equipment related to the spacecraft’s waste management system. As this photo shows (above), however, the astronauts decided to use it for something else: a place to store their urine bags. 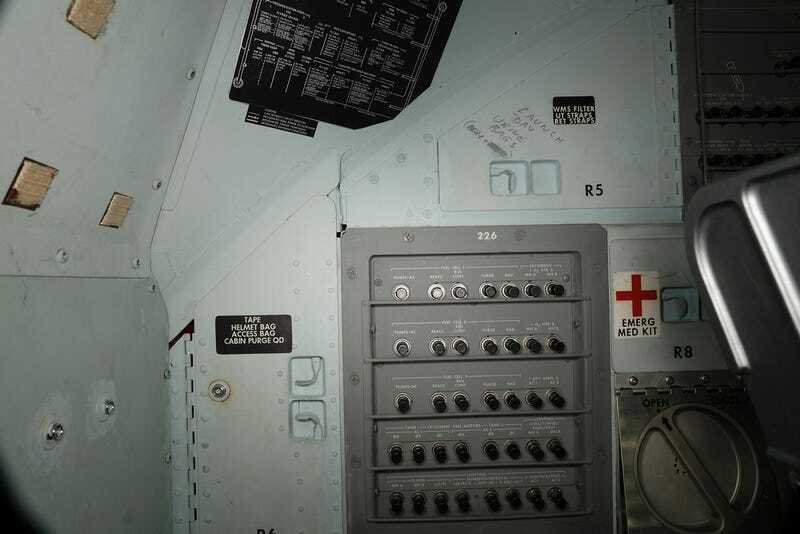 According to the Smithsonian, they stored their urine in these lockers early in the flight before the normal waste disposal system went online. They must have written this note on the wall to remind themselves that this locker should probably be left alone for the duration of the mission. A small hand-drawn calendar was also discovered, located just below one of the lockers. Each day of the mission can be seen, from July 16 to 24, and every day is crossed out except the final one. The capsule splashed down in the early hours of July 24, a date that remains untouched. 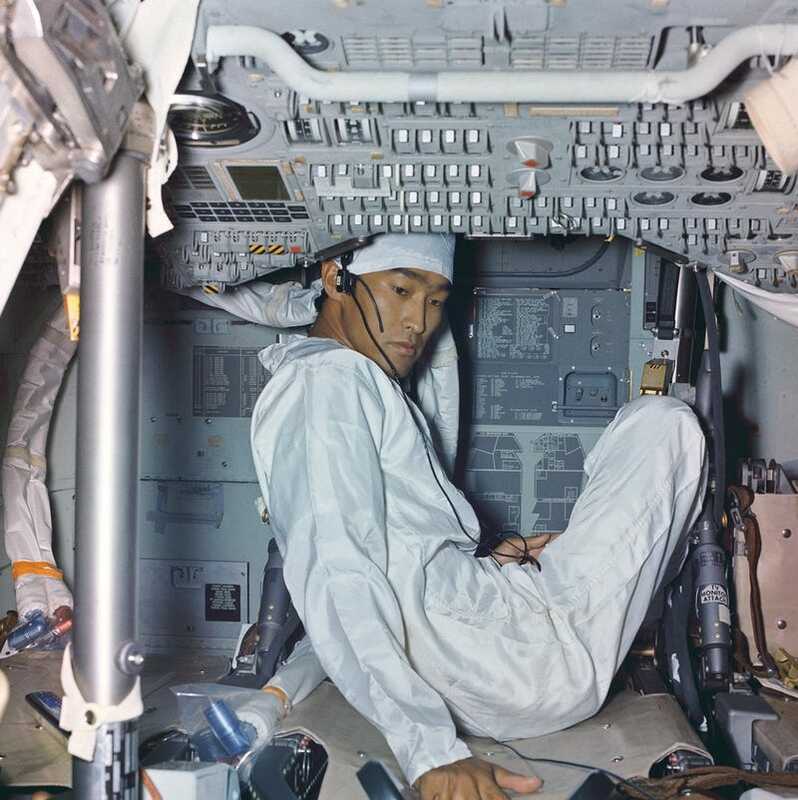 In this archive photo above, NASA’s John Hirasaki can bee seen inside the capsule during the quarantine period. If you look carefully behind him, you can see the calendar. Love the duct tape framing. Really, incredible stuff. Analysis of these items is ongoing, so the Smithsonian may reveal more insights soon. Featured image credit: Smithsonian National Air and Space Museum.